The Lok Sabha elections 2019 are around the corner. In order to cast your vote, the first step is getting a voter ID card. After that, you will have to make sure that your name is enrolled in the voters’ list. Having a valid voter ID card is not the only requirement, you need to check if your name is on the voter list and all your details are up to date. If your name appears in the voter list, you are eligible to vote, otherwise, you need to register for it. So, if you want to check your name in the voters’ list alongside details like polling station, voting date, etc. then all of this can be searched easily online. 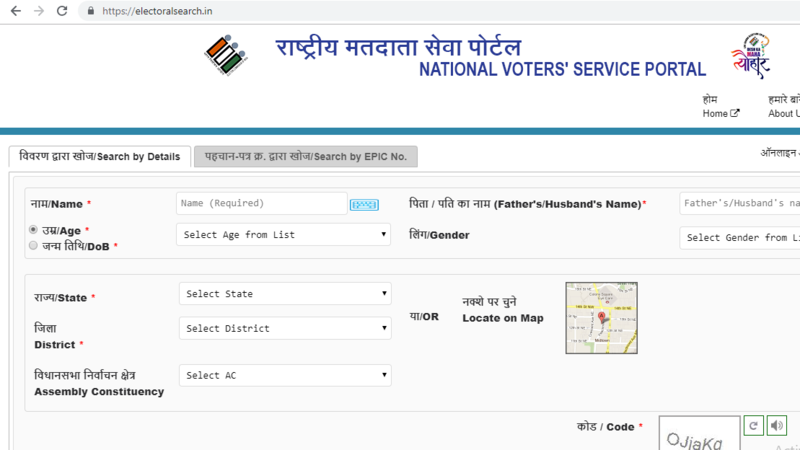 Here’s how you can check your name and other details in the electoral data online. The first method is the website search. 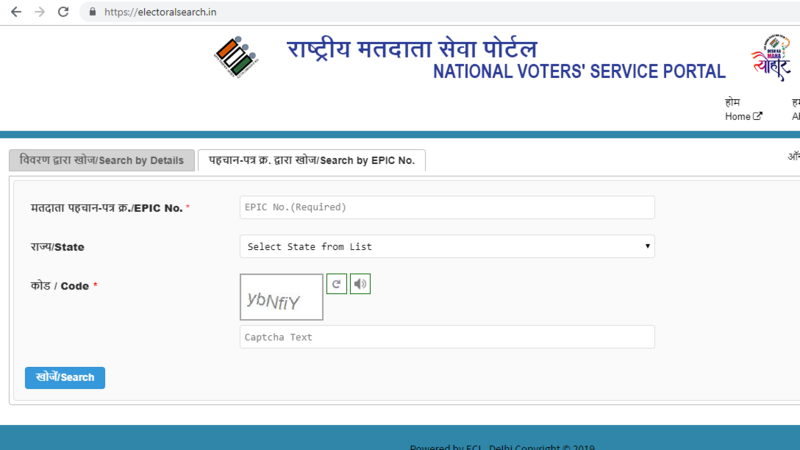 You need to visit the National Voters’ Service Portal (NVSP)’s electoral search page— https://www.nvsp.in. 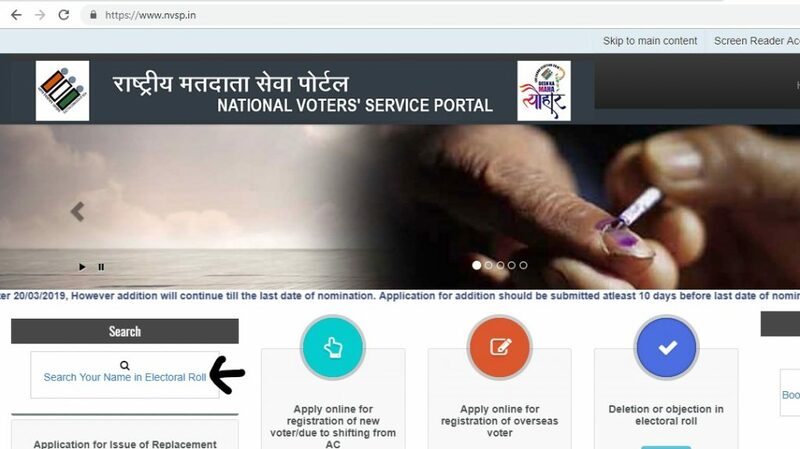 Look up for “Search Your Name in Electoral Roll” on the top left side to enter the portal where you can check if your name is in the electoral roll or not. The first method here is ‘Search by Details’. You need to enter your Name, Father’s Name, Age, Gender, State, District, and Assembly Constituency. So, if you have the EPIC number which is your 10-digit Voter ID card number printed on the top of your Voter ID card then enter it here and select state. Enter the captcha and click on the search. If your name is on the voter list, your details will appear at the bottom of the page. You will be able to see more details like your polling station venue, date of your voting and more, click on ‘View Details’. The next method is the text message or call. You can simply send a text message to 1950 from your mobile phone. You need to type <ECI>space<EPIC No.> and send it to 1950. Example: Type -> ECI SNHXXXXXXX and then send it 1950. The Election Commission of India has also provided a helpline number to call for all your details and queries. You can simply call on 1950 and give your EPIC number to check your name in the voter list. 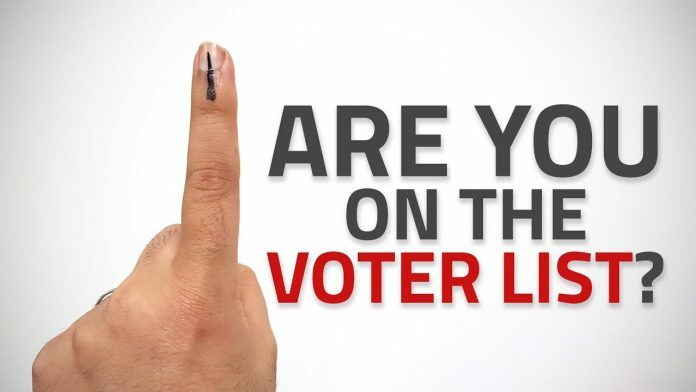 The Lok Sabha elections 2019 will be held in seven phases between April 11 and May 19. The results will be announced on May 23.